Being three is so much fun. 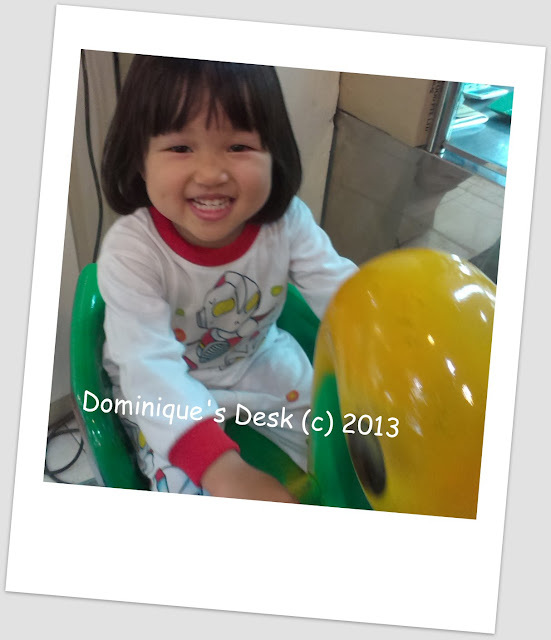 You are slightly older now but still young enough to enjoy kiddy rides. I really enjoyed seeing her face light up when she spotted this ride at a shopping centre. It was rather costly at $1 for a 5 minute ride. I refused to give her a $1 coin for her to enjoy a ride. Luckily Tiger girl was okay in sitting in the ride and pretending to drive it without it actually moving. I was more then willing to part with coins for her to ride on this ride . For $0.20 a ride she could ride to her heart’s content with $1 as compared to the one above. 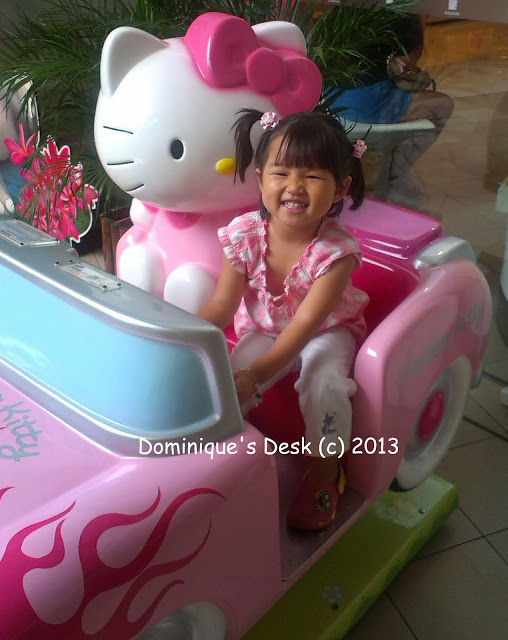 Do your kids love kiddy rides too? Tiger Girl & Hello Kitty – what an unbeatable pair! She looks like she is having a great time. Awww, she looks like she’s having a blast on there! What a sweet smile. I love the shot of her with Hello Kitty. Now that is one happy grin! So cute and adorable! Lovely shots Dominique! Thanks for hosting. She has such a precious smile! Aww! My little girl would probably have to be pried out of the Hello Kitty seat, lol! Yay, Tiger Girl! Three is so much fun! Maybe is was expensive because it was a Hello Kitty brand? Here Hello Kitty stuff is always more expensive than other brands, sometimes even more expensive than Barbie. Anyways, your little one is adorable! !